It's the Holiday Season and there's so many people on our gift list. Here's a simple little "thinking of you" homemade gift or stocking stuffer that is just perfect for your coworker, neighbor, child's teacher or just about anyone on your list. Once they're made, just put them in a little cellophane bag (item#102757) and your gift is ready to go! 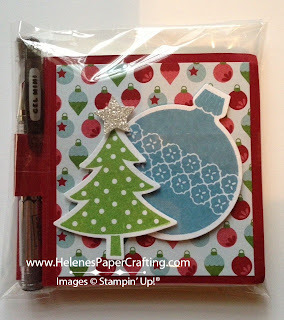 To make these post it note holders, I used a variety of Stampin' Up! 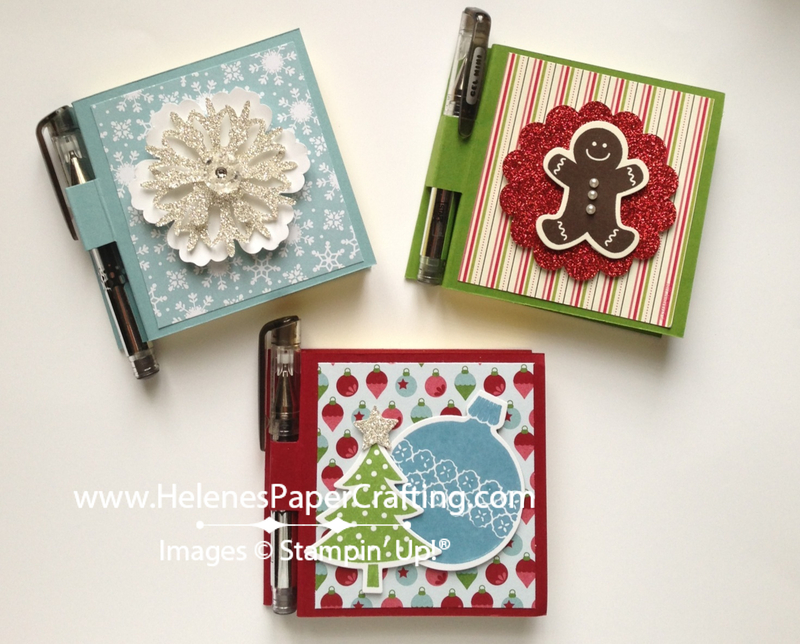 card stock, designer series paper, stamp sets, ink pads, framelits, embellishments and dimensionals to give each holder a little "pop." For instructions on how to cut, score and assemble the post it note holders, CONTACT ME.